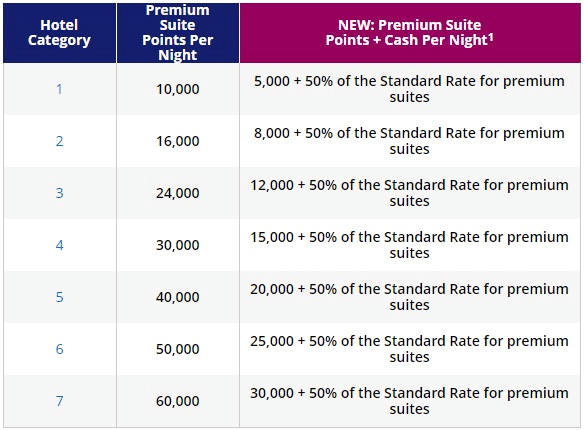 From 1 November, points + cash awards will take a hit, while Premium Suites will be added to the pool for redemptions. 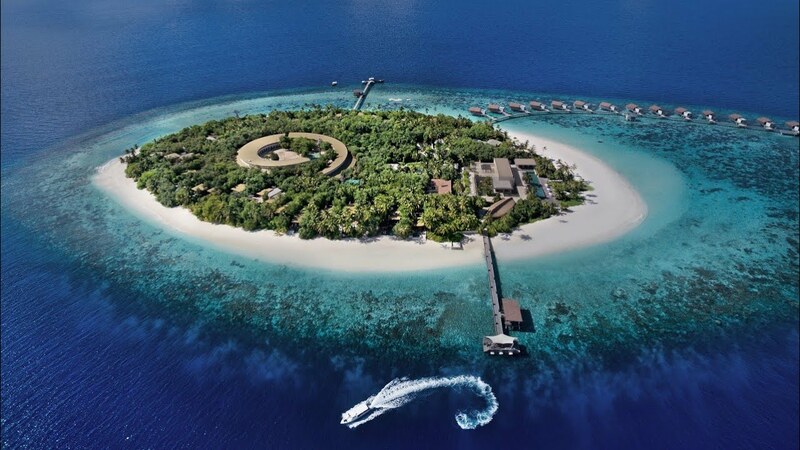 From 1 November 2018, World of Hyatt is going to be making some significant changes to their award program. 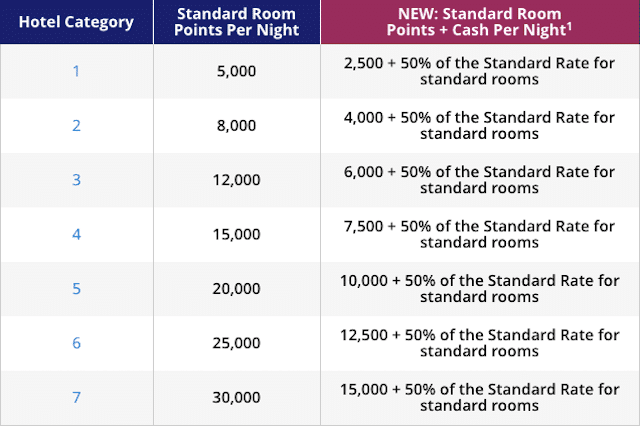 To summarize, cash and points awards will now involve a cash co-pay that’s 50% of the standard rate for a standard room, while Premium Suites will now be available for upgrades and redemptions. Let’s start with the bad news. Hyatt is changing their points + cash redemptions, and not necessarily for the better. No prizes for spotting what’s happened. Instead of a fixed cash co-pay, the cash portion of the award will now be based on 50% of the standard rate for a standard room. The Park Hyatt Siem Reap currently costs 7,500 points + US$100, but after the changes the co-pay will increase to US$133 (50% of US$265). Or the Grand Hyatt Bangkok, where cash + points currently costs 7,500 + US$100. 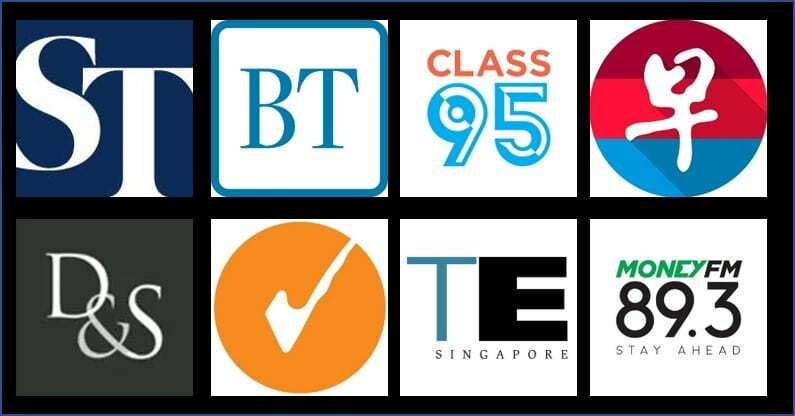 Under the new system, your co-pay will be almost the same at US$97. But here’s an important mathematical point: when standard rates are low, it doesn’t really make sense to redeem points in the first place. Take the Grand Hyatt Singapore example- if the standard rate is US$182, then opting for points + cash at 10,000 + US$91 means you’re getting US$91/10,000= 0.91 US cents per point, which is very poor value. Obviously the old rate of 10,000 + US$125 would have been an even worse deal, but the new math isn’t very favorable either. 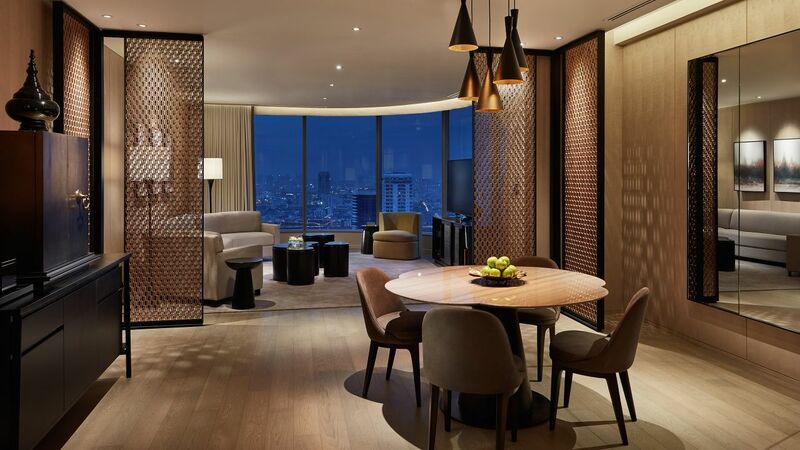 Ditto for the Grand Hyatt Bangkok- a standard rate of US$194, with a points + cash rate of 7,500 + US$97 means your points are valued at 1.3 US cents each, which is below what you’d typically value them at (1.5-1.8 US cents, depending on who you ask). Mathematically speaking, this change also means there is no value-driven reason to book a cash + points award over a points only award, because the points only award will always offer equal value for your points (20,000 points for a US$182 standard rate is the same as 10,000 points + US$91). The only scenario I’d see you doing this is if you were short of points. So even though there will be situations where cash + points will now involve as smaller cash outlay from you, it’s hard to see this as anything other than a devaluation. 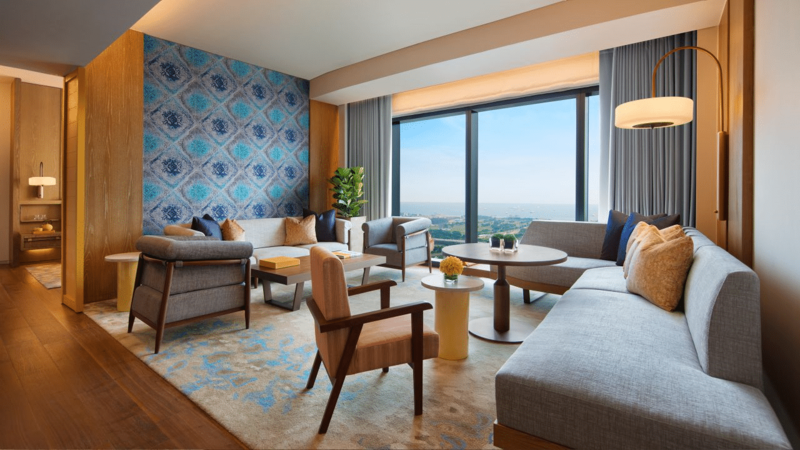 Under the current program, you need to redeem a minimum of three nights in order to book a suite under World of Hyatt. That minimum stay requirement is being eliminated; from 1 November you’ll be able to redeem points for any length of stay at standard or premium suites. Standard Suites have historically cost 60% more than a Standard Room, and Premium Suite will cost 100% more. 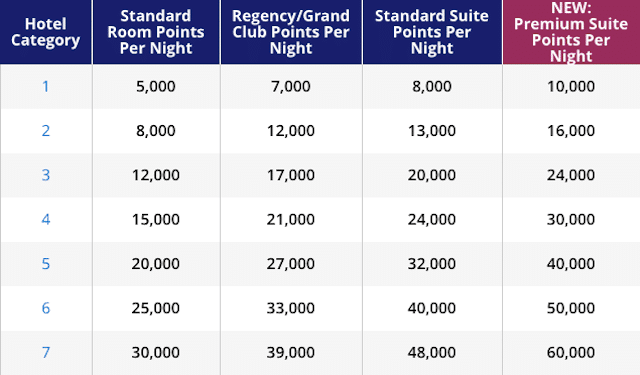 All things considered, these are reasonable rates for suite redemptions, given that IHG doesn’t offer suites for redemption, and Hilton charges for suites based on the revenue rate for the suite (i.e. you use your points as cash, with a really poor valuation). Premium Suites will also be available for bookings with points + cash. The value of this is somewhat questionable, given that you’re paying 50% of the standard rate for a Premium Suite. Just what is a Premium Suite, anyway? Gary Leff at View From the Wing is reaching out to Hyatt to clarify this, among other key questions regarding Premium Suites. Are Premium Suites capacity controlled? Can Globalists get confirmed Premium Suite upgrades? Must hotels offer all Premium Suites, or can they offer a subset? Should you still buy Hyatt points with these changes? Hyatt is currently running a points sale where you can buy points with a 40% bonus, or at 1.71 US cents each. 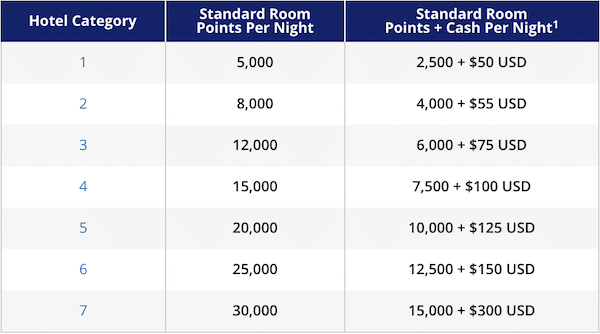 Award redemption prices for standard rooms have remained the same, so if your intention was to do that then your position should not have changed. However, if you were looking at doing a points + cash redemption, you’re going to want to try and lock in your redemptions before 1 November (you can book for dates after 1 November, up to 395 days in advance). It’s poor form for Hyatt to give just over one weeks’ notice for a change like this, but there’s very little we can do about it. The option to redeem Premium Suites for points is a good addition as it gives you a way of ensuring a special stay is, well, special, but I want to watch the situation for a while and see if hotels try to play games with definitions. The devaluation to points + cash awards is a major hit to the program, so lock in those stays at the old rates while you still can. Found this post useful? Subscribe to our Telegram Channel to get these posts pushed directly to your phone, or our newsletter (on the right of your screen) for the latest deals and hacks delivered to your inbox. I haven’t seen anything to indicate that if 50% of the standard rate is less than the current co-pay (your GH BKK and Andaz SIN examples) then the guest pays the lower amount. That is, my understanding is the LEAST you will pay is the current co-pay amount; it’ll never drop below that.